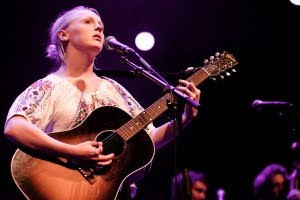 Last night I went along to the Royal Festival Hall for an evening of "Laura Marling and Friends". I picked up tickets via the fantastic Scarlet Mist ticket exchange, which is a website for selling tickets to others when you can't attend, without ripping them off through eBay like a scumbag tout. The evening opened with a video of Laura's "friends" speaking about the relationship between the group, all of them modern British folk artists. Laura then came on to some quite high-pitched cheering. 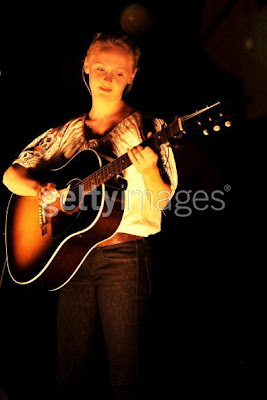 She's quite small and cute, and came across quite relaxed in what must be quite a dauntingly large venue to play. Before kicking off with lesser known, but still beautiful songs, she explained how the evening would work - she would alternate between herself and her friend playing - so after she played, one of her band members, Peter Roe came on and played a fantastic solo of "The Devil's Dancefloor", then she was back on, and so on. Peggy Sue’s ‘The Sea The Sea’ suffered from the guitar not working. I did wonder, as the girl playing it looked quite uncomfortable during the tune. They played on, and I assumed that it was just quite a harsh song, though still quite good. Laura came on and explained the technical difficulties, then invited them back later to do an encore - though frankly I would have rather heard something different! The lovely Alessi Laurent-Marke, playing as Alessi's Ark, was the "friend" I was most looking forward to, as I'd seen and enjoyed her at Glasto. Here though, she really came into her element. Her voice is wonderful, like some sort of Bebel Gilberto / Cat Power crossover.. Frankly I wouldn't have minded if she took over the evening and played the rest of it. Sadly she only did one song.. but I urge you to check her out on Myspace or Spotify, and to catch one of her shows in a couple of months when she seems to be touring round. Other artists playing included Andrew Bird, Sons Of Noel & Adrian, Johnny Flynn, and Mumford & Sons, who played quite a dark rocky loud number. Towards the end of proceedings, all the "friends" came on stage for a sing-along of one of Laura's more famous tracks, some taking advantage of the sofas etc littered about the stage. Some of the artists had also commented on the ridiculous number of microphones all over the stage! 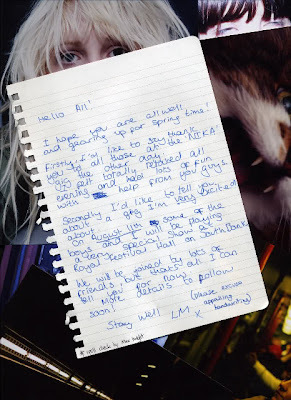 Some of thew new songs Laura played included "Made By Maid", "Alpha Shallows" and "Blackberry Stone", with classics such as "Ghosts", "My Manic & I" and "Alas I Cannot Swim". One criticism I read of which I'd agree with is that there was a distinct lack of collaboration between the artists - Laura would gush praise on to each act before and after, which wasn't needed. What might have been more interesting would be her telling us something about their past, or their relationship etc. So overall a great gig with a number of talented artists, showcasing some great British folk. 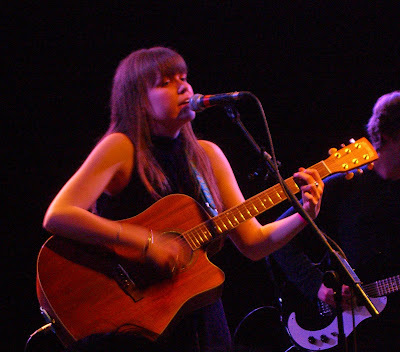 Laura's voice was both refined and strong, though I think there are so many great lesser-known folk artists, it's not always worth fighting through the teenage girls when the Peter Roes or Alessi's Arks of this world are so much less subscribed and just as good.